Take a trip into the magical world of Balthazar’s wild emporium by playing this fun and thrilling slot machine brought to you by Core Gaming. The game gives players a chance to explore a world withBalthazar and hope for some great combinations and big wins. Enter the magical forest and see beautiful wild animals in the background to help you fully immerse into this enchanted world. There are plenty of ways to win big, enjoy 20 pay lines, stacked and expanding wilds and lots of free spins available. Some more games also offer good bonuses,click to see UK slots. The developers of this game are Core Gaming who are a UK software company. They are one of the leading companies in the world that specialise in the development of HTML 5 gambling games, these games are specifically designed to provide the highest quality possible for the user experience on mobile devices, operating systems and browsers. Using their HTML 5 framework that offers efficient and flexible design, they are able to keep themselves at the forefront of gaming development and technology. 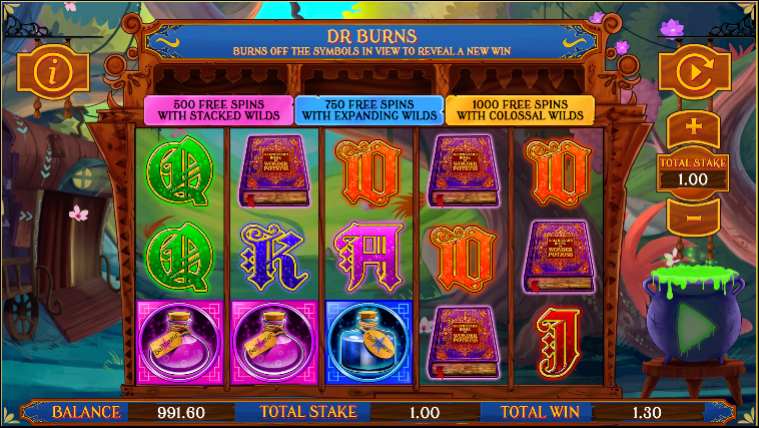 They have a range of online mobile games including slot machines, which Balthazars Wild Emporium is a great example of. To find more online slot games by Core Gaming, search our all games page on Wizard Slots. The unique slot machine game transports players to a magical forest full of trees and birds flying around. The slot has a 20-fixed pay line allowing you to have the maximum number of ways to win, on every spin in this beautiful land. The game has great background tinkling music that is peaceful and bird noises that add to the atmosphere and help immerse you into the wild emporium. If you're looking for the best slots games to play, check this guide is worth a look. The symbols that appear on the reels include the blue, yellow and purple potion bottles, box of three potions, gold coin, wonder potions book and Balthazar face along with the well-known playing cards symbols (A, Q, K, J, 10). 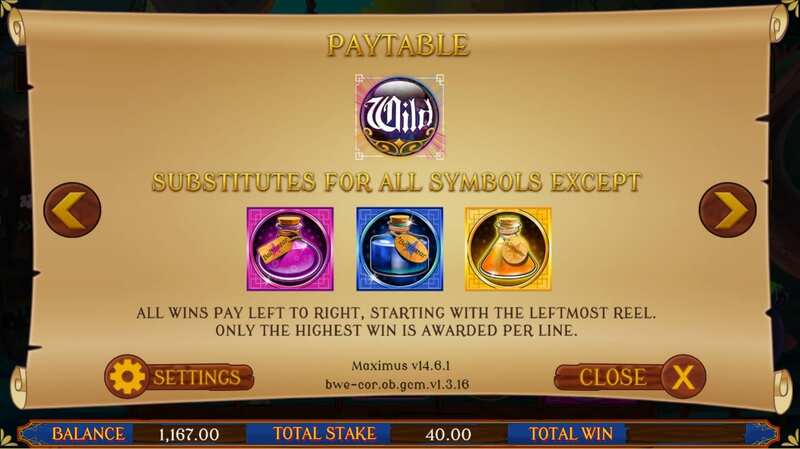 The wild symbol is the highest paying symbol, which will give you 2500 times your bet. The gold coin and Balthazar symbols will win you up to 2000 your bet when you match 5 of the same symbols. The potions help you win free spins, if you land 5 of the purple potion bottles you will win up to 500 free spins with stacked wilds. 5 of the blue potion bottles will get you up to 750 free spins with expanding wilds and 5 of the yellow potion bottles could win you up to 1000 free spins and colossal wilds. All wilds will be added on to the reels in random positions. If you’re lucky you could trigger the gamble game, this is triggered when 2 coloured potion bottles appear on reels 1 and 2. In this game you will be awarded an amount of free spins, this is dependant on the potions that are active. You will get the chance to collect your bonus prize or gamble all or gamble part of it. If you dare to gamble and a third bottle lands on reel 3 you will be given more free spins.